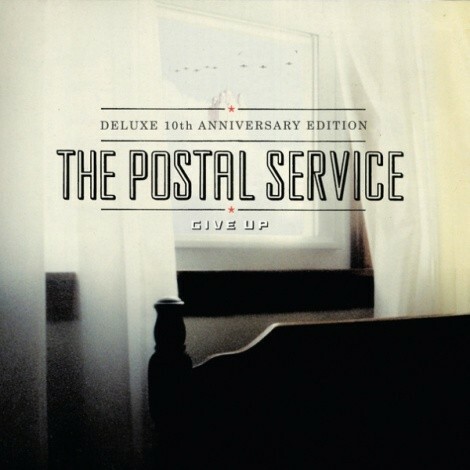 This week, we'll start out with some Postal Service. With our Salt Lake City air just starting to take on the dingy hue of winter, I thought "We Will Become Silhouettes," from Give Up (2003), was particularly apt today. I first learned about this band right after I graduated from high school, and it always takes me back to when I was 18. Next up is "Until Morale Improves, The Beatings will Continue," from Who Will Survive And What Will Be Left of Them? by my all-time favorite band, Murder by Death. October marked the 10th anniversary of the album, and I still think it's one of the band's absolute bests -- I love that Midwestern-goth stuff they do so well. I first discovered Murder by Death when I was in college; their music became my go-to background music whenever I was working on an art project. The lyrics "buckshot is my bread/ I drink whiskey instead of water" are brilliant. Next is "Killer Queen," by, who else, Queen. I became a Queen fan when I was about 15, on a family trip to California. I about wore out my copy of Greatest Hits (1981) by playing it on repeat in my Walkman, and this song blew my mind. At the time, though, I usually had no idea what Freddie Mercury was singing, so this is how I heard the first line: "She keeps a mullet and shadow in a pretty cabin." I don't know why, but Foreigner's "Juke Box Hero," from 4 (1981), was Payson High School's unofficial school song when I was a junior and senior. The DJs would play it at every stomp, and everyone would freak out. In high school, my oldest brother was obsessed with AC/DC, and converted me. "Back in Black," from Back in Black (1980), was the first (and only) song I learned how to play on the drums, and I used to blast it on my headphones on the bus to school. Do you have a song that takes you back? E-mail kstone@cityweekly.net to have it featured on next week's Throwback Thursdays.